To have the container snuggly, but not preventing movements on skydivers back, we have placed two pairs of pads (top and bottom). 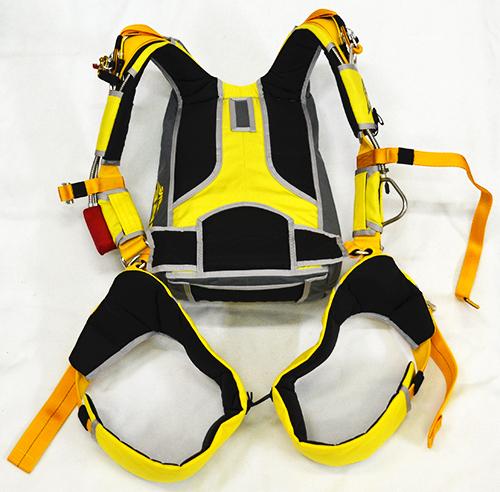 The open-piece shoulder pad keeps the best shape and harness much better on the shoulders. 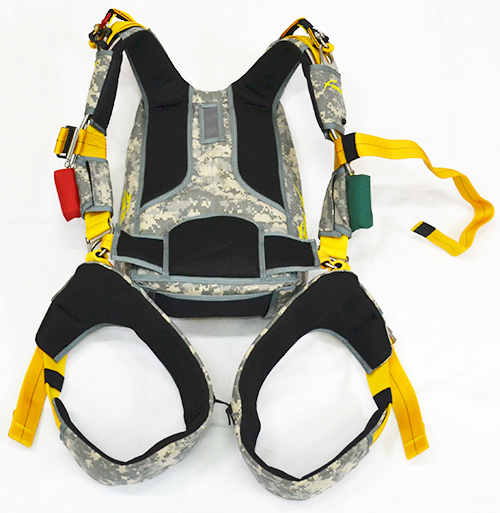 Air channels between the pads provide free air circulation along the back so that even in hot weather the parachutist’s back will be comfortable and dry under the tightened harness. 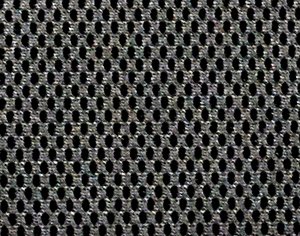 Typical difference of Expta Soft version from Standard parapack version is the special 3D Space Foam material that helps with ventilation of the back.